1. When you are looking for a new bow (or violin for that matter), try not to compare it to your current one. You are used to the one you've been playing on, but that doesn't mean it was a good bow. Open up to new possibilities! 2. I've heard that a dark-sounding instrument should be balanced by a bright-sounding bow, and vice-versa. This will give you balance of sound. 3. Find a bow that feels balanced in your hand. You do not want a bow to feel tip-light or tip-heavy. The weight of the stick is much less important than the balance, or "feel". 4. Flexibility is important, but you do not want too much flex. There should be some resistance. 5. Find a bow that tracks well. The stick should not pull towards the bridge or fingerboard. If you are still working on straight bowing technique, start with smaller bow strokes to test this. Watch your contact point as you play. 6. A bow that produces a nice tone may, or may not be good at bouncing strokes. As you become more advanced, this will become more of a concern for you. Spiccato and sautille' strokes can suddenly become very easy with the correct bow. One of my teachers told me that no one bow can do everything. I have yet to find a bow that can prove him wrong. 7. If you do not have a large budget, consider carbon fiber bows. They are often superior to wood bows in the lower price ranges (and sometime in the higher ranges as well). 8. More expensive does not always mean better. Choose the bow based on its playing characteristics, not its expense. Fine French bows are very expensive, and are often wonderful sticks, but I have played many that I did not like at all, even in the $6,000 - $20,000 price range. I've had two antique French bows, but am currently playing on a carbon fiber bow that cost around $350. Don't let a anyone convince you that professionals always play with $5,000 - $10,000 bows. 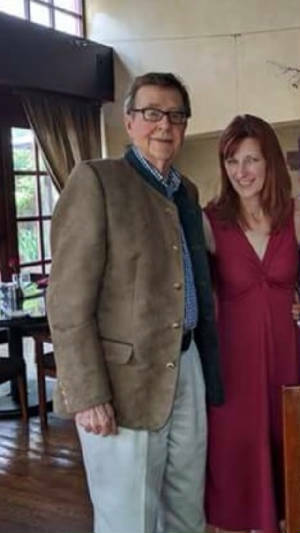 Below is one of Todd's teachers, Harold Wippler, former Concertmaster of the Denver Symphony (now defunct), along with college friend, Holly Mulcahy, who is Concertmaster of the Chattanooga Symphony.